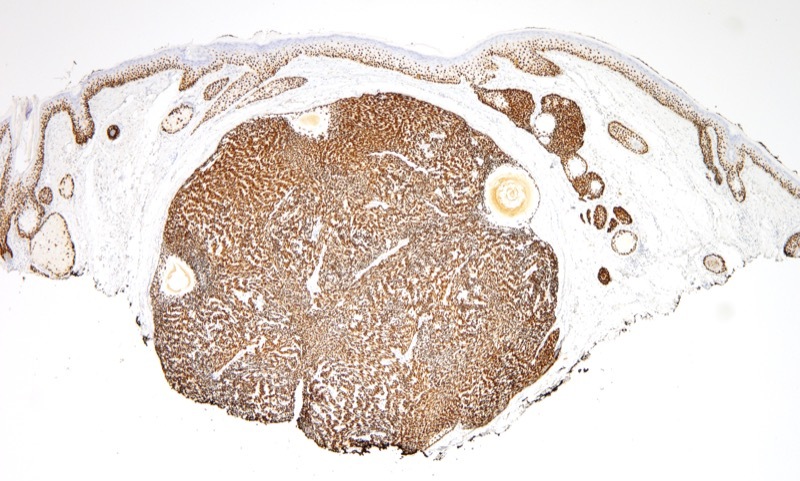 The findings are diagnostic of an exceedingly rare adnexal tumor namely the rippled pattern sebaceoma. 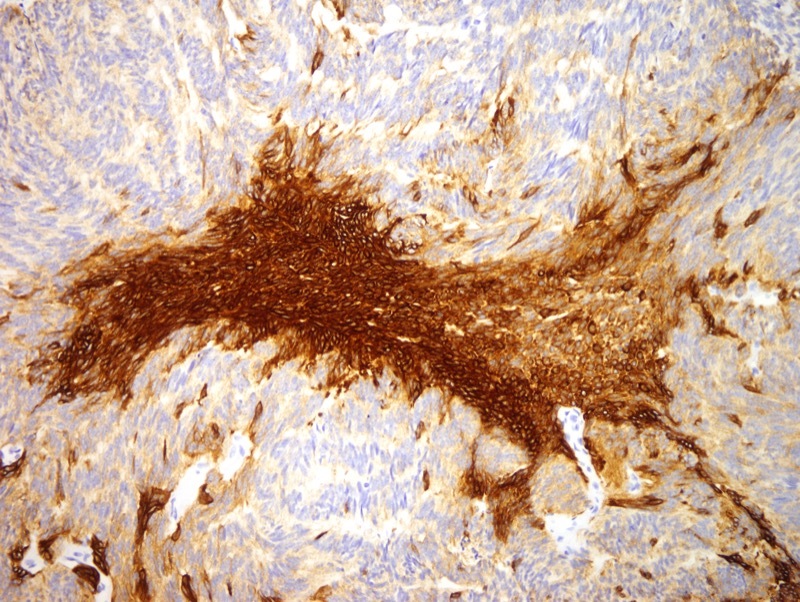 This very uncommon tumor can be predominated by undifferentiated epithelial cells with only a minor mature sebocyte component, certainly a finding well-exemplified by this case. 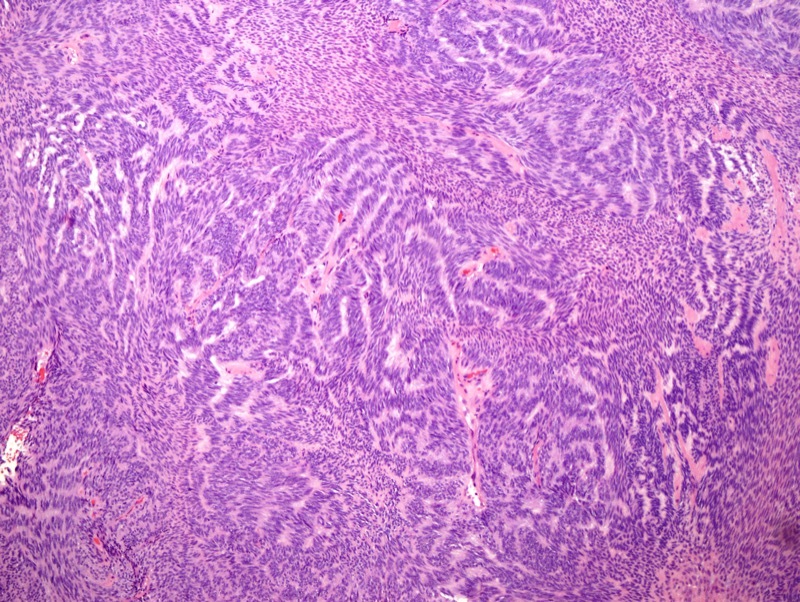 The rippled pattern sebaceoma is one of the classic primary epithelial tumors of the skin that can show a distinct Verocay body-like pattern that of course can lead to a misinterpretation of such lesions as a peripheral nerve sheath tumor especially if there is no epidermal continuity. Kimura et al. reviewed the clinicopathologic features of rippled pattern sebaceoma and found that it occurred predominantly on the scalp in men, whereas sebaceoma without rippled pattern occurred more frequently on the face of women. 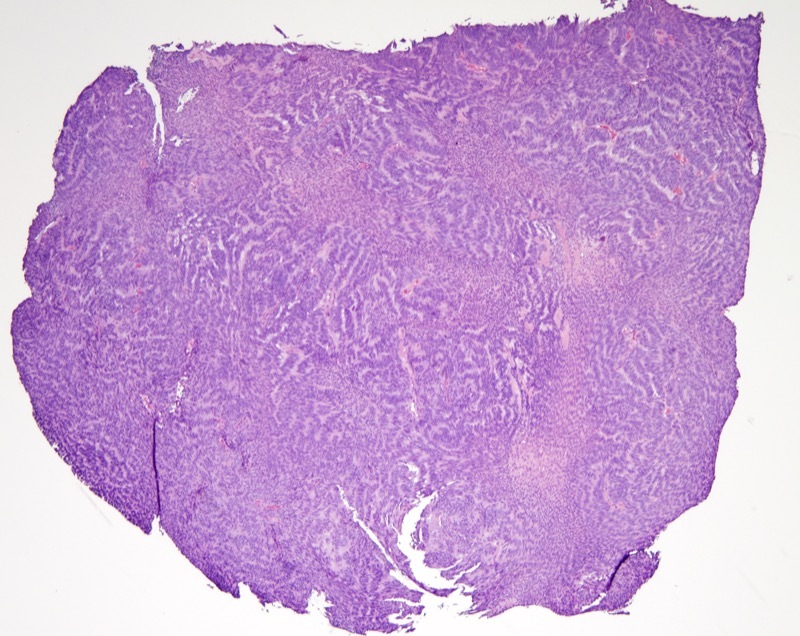 Sebaceomas without rippled pattern were frequently associated with an adjacent nevus sebaceous, seborrheic keratosis, and trichoblastoma; however, there were no such association in rippled-pattern sebaceoma. 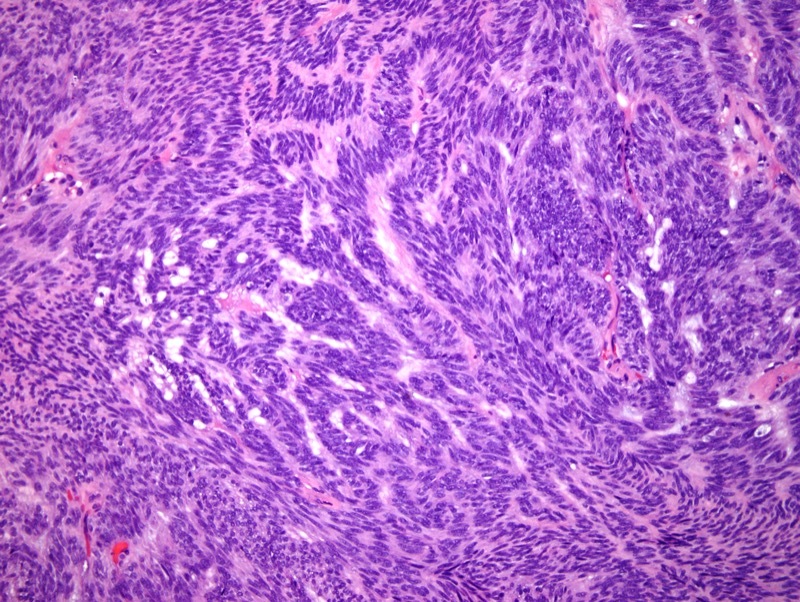 Reference: Ansai S, Kimura T. Rippled-pattern sebaceoma: a clinicopathological study. Am J Dermatopathol. 2009 Jun;31(4):364-6.